A warm welcome awaits you at ‘1201 East Backpackers’. 1201 is traditional backpackers with great atmosphere and charm. We offer you Quality service, comfortable and affordable accommodation, clean, spacious dorms and bedrooms. A great selection of different bedding configurations for every taste and budget as well as a comfortable bed for that good sleep, regardless of the time of day. Cook that special meal or just a sandwich in our well-equipped kitchen, each of our guests gets their personal plates, cups and cutlery so no one has to share. The Dining Room is large enough for a banquet of thirty and small enough for that intimate dinner for two. All this available at the best location at the stylish end of Hay Street in Perth. Our guests instantly take to the unique atmosphere and cosy surroundings; even the shyest newcomer to backpacking soon feels at home and becomes part of the 1201 family. The well-travelled friendly staffs are able to help you with all your travelling and work needs. 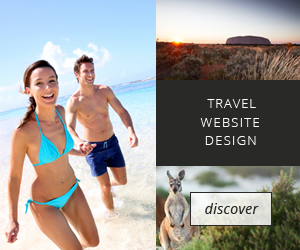 We offer plenty of good current advice and we can also book your next Western Australian holiday and tour adventure. The job board is choc a block full of business looking for workers both skilled and unskilled. The Cave, located in the basement, is the social hub of the hostel where everyone knows your name. Guests chat, play pool, table tennis or darts, drink, dance or just meet and make life long friends. There are two supermarkets, a post office, two bottle shops, many hotels, bars, night clubs, many restaurants, the Swan River, the Western Australian Cricket Ground all seconds away from our front door. Eight minutes walk or use the ‘Red Cat’ (free bus service for central Perth) and within minutes you will be in the hub of the shopping, nightlife and commercial business areas of Perth city. When you eventually leave Perth your fondest memories of this town will include the fun, friends and the great times you had at 1201 East Backpackers.